With the holiday shopping season already starting for many consumers, business owners are wondering about the best way to attract customers. Though online shopping and ecommerce have come a long way, most customers will do their holiday shopping at a traditional store. However, a new study suggests business owners that use online marketing and ecommerce may come out ahead this holiday season. According to a survey of 3,785 individuals by NPD Group, online marketing and ecommerce will play a larger role than ever this year. In-store retailers may attract more customers than online stores, but ecommerce is closing the gap. On average, U.S. consumers anticipate doing nearly 40 percent of their 2017 holiday shopping online, up from one-third just two years ago. More importantly, even if customers spend more time in stores, they will spend more money online. According to NPD’s 2017 Holiday Purchase Intentions Survey, consumers who said they will shop online for the holidays are planning to spend roughly 70 percent more than their in-store-only counterparts. 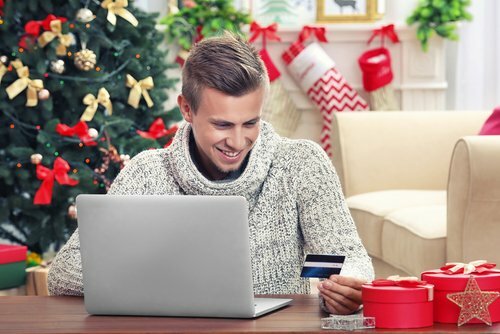 Online shoppers in the survey anticipated spending an average of $793 this holiday season and those who will only shop in brick-and-mortar stores plan to spend an average of $467. The study also provides insight into the demographics that will be using online shopping the most. Almost three-quarters of holiday consumers plan to do some of their holiday shopping online this year. And in way that many would expect, the likelihood that someone would shop online is higher among millennials and Gen X. While there is certainly a benefit of hosting items on a site specifically for the business, online retailers can not underestimate the importance of listing their items on third-party websites. Even if using these services reduces the profit margin, the loss is made up by the increased reach of these services. Topping the list of anticipated holiday shopping destinations in the NPD survey were online-only sites, like Amazon, Ebay, and Etsy, noted by 66 percent of consumers in the Holiday Purchase Intentions survey. Mass merchants/discount stores, and their websites, were the second most popular planned destination, followed by national chains, and department stores. The increasing move to online sales for holiday shopping is part of an ongoing trend that has been seen for years. An analysis of the NPD from 2016 found that during the fourth quarter of 2016, consumer ecommerce purchase frequency increased 12 percent to an average of more than 6 online orders, compared to brick-and-mortar stores, where consumers made an average of 18 purchases, a 4 percent decline from the prior year. Home improvement, beauty, apparel and technology were among the faster growing categories in terms of e-commerce purchase frequency. Beauty was one of the few categories which experienced purchase frequency growth at brick-and-mortar stores. The data shows that there are a lot of ways for retailers to increase their revenue this holiday by using online channels to reach more consumers. Even if there are more people coming in the stores, there is more money being spent online, and that’s something business owners can’t afford to leave on the table. For more news that can help your holiday marketing in 2017, read this article on Google’s new policies for advertisers.